Delights by Cynthia have created these Gothic Cupcakes as part of the Cakes on the Dark Side collection. Theses incredible but edible cupcakes are not for the faint hearted, but will add plenty of drama to gothic weddings and events. 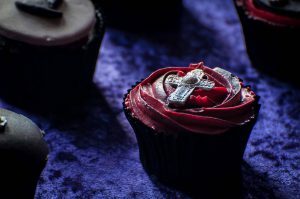 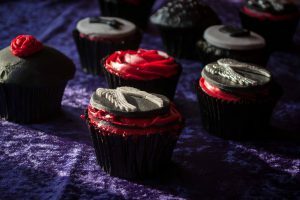 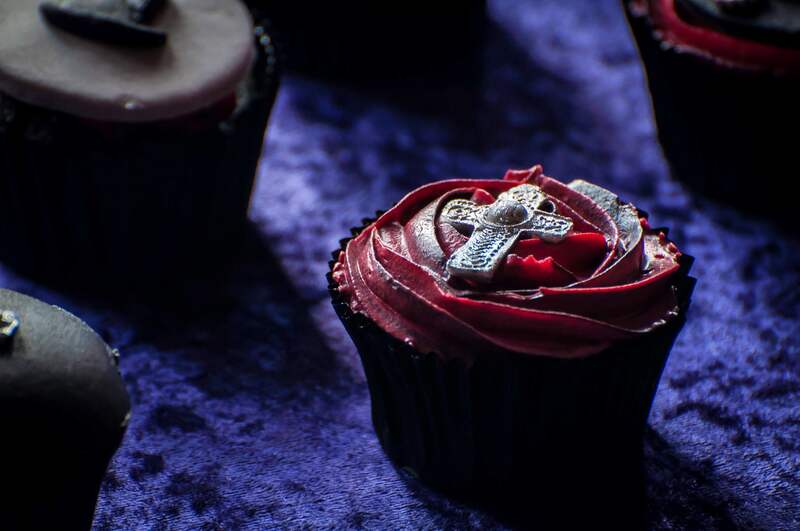 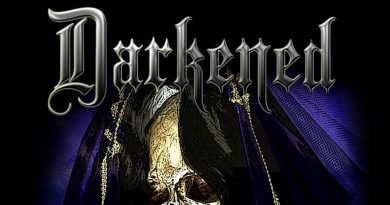 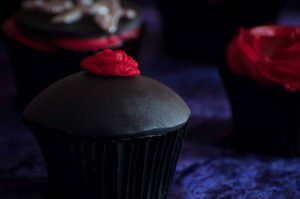 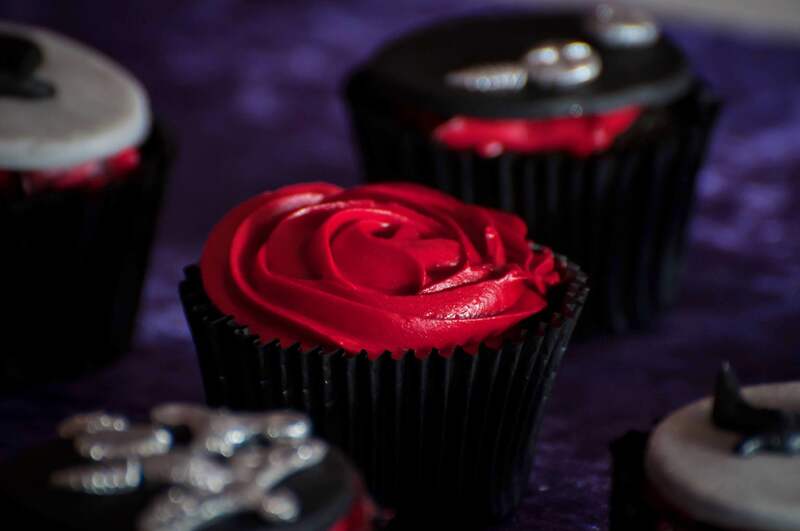 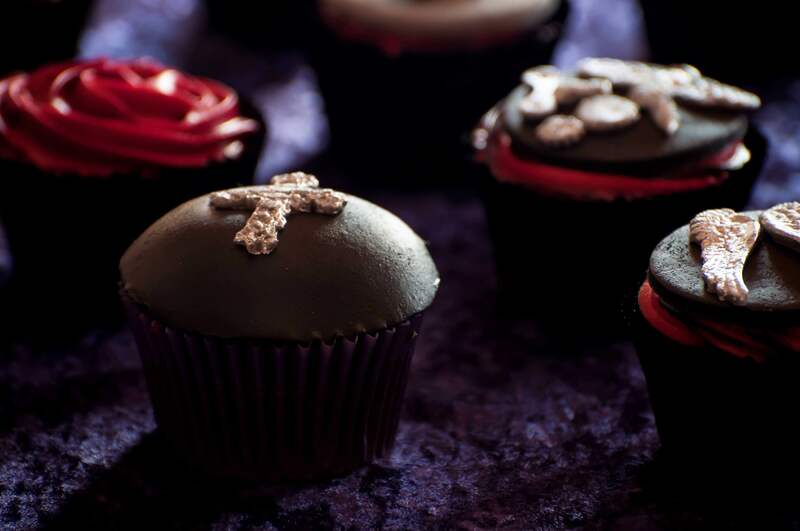 The Gothic Cupcakes are available in rich, dark, sensual, black chocolate and a moist black vanilla; some centred and oozing with blood-like black cherry jam, and topped with deep crimson frosting. 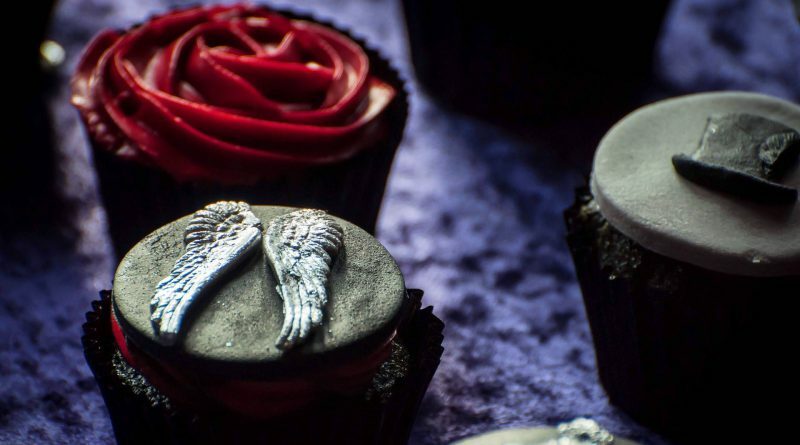 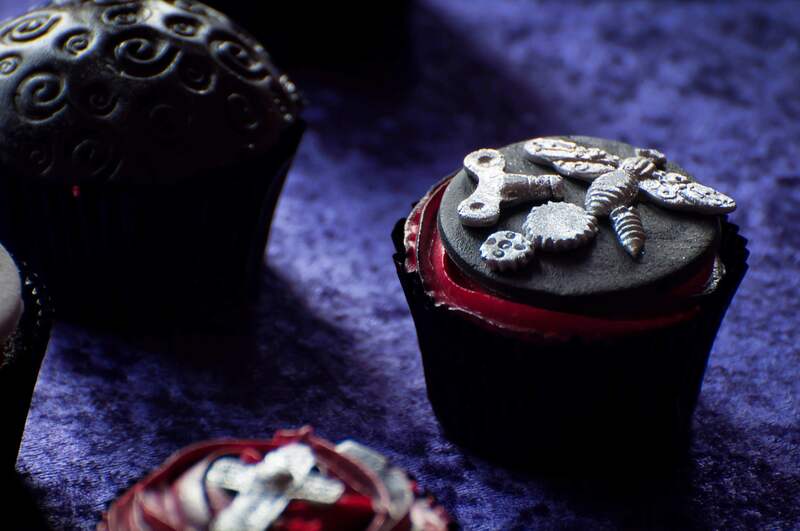 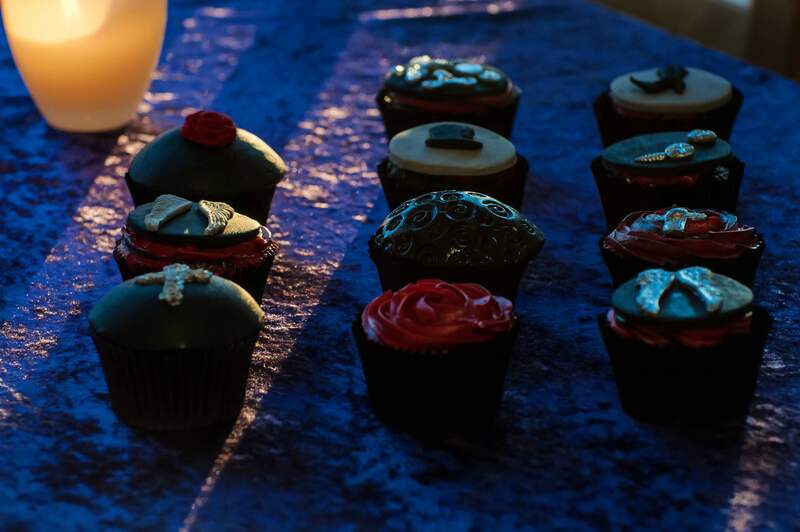 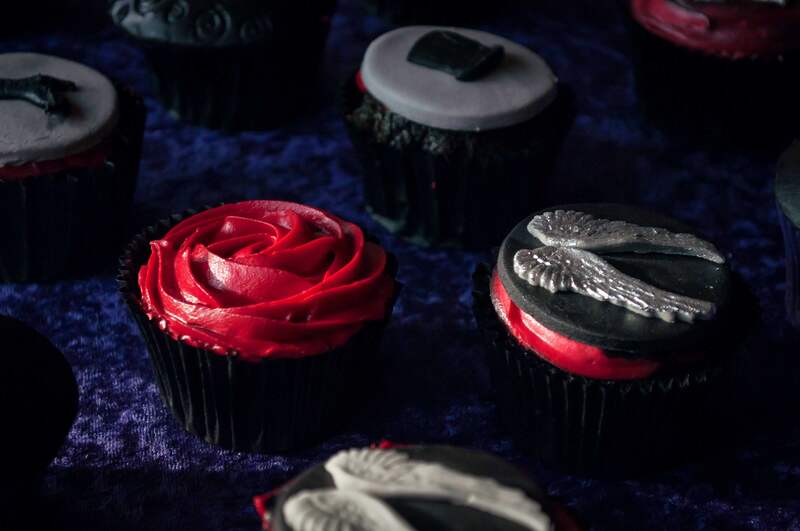 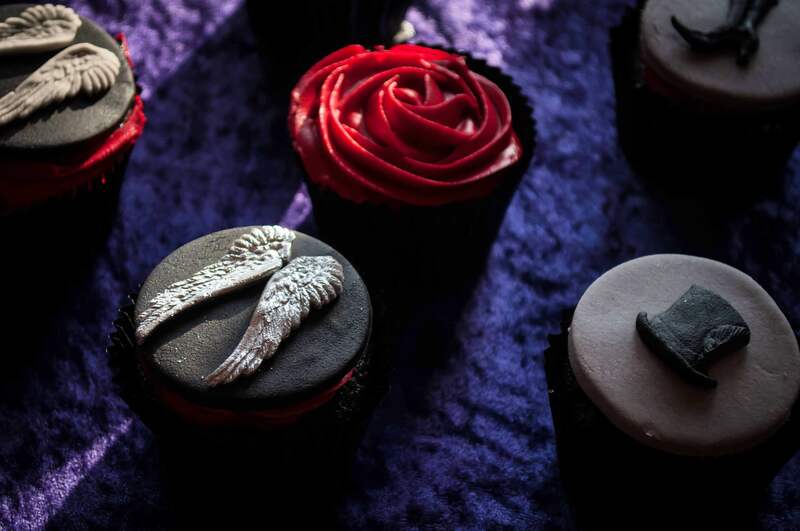 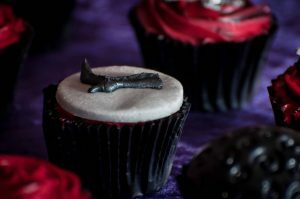 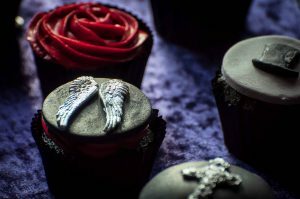 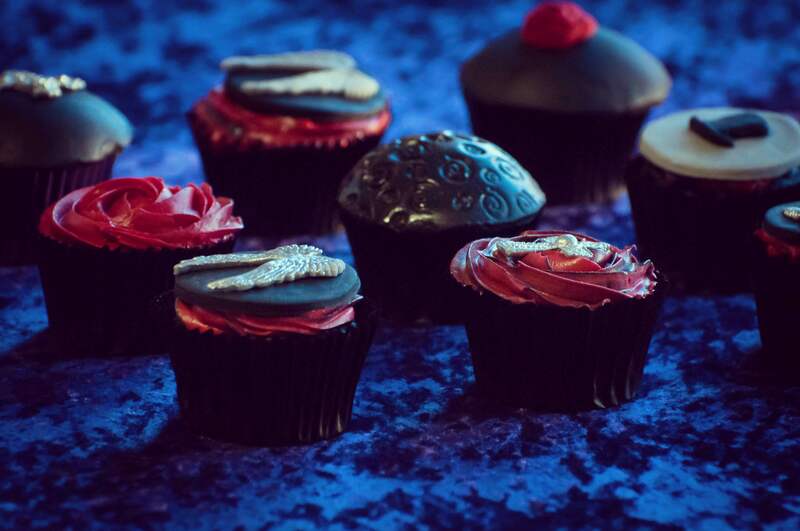 The cupcakes are decorated with black, grey and silver fondant; exploring gothic and steampunk icons; Victoriana boots, crosses, top hats, blood-red roses and angel wings. 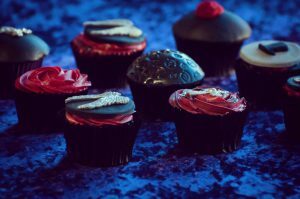 Order a dozen (£36), a six-pack (£18) or a single cupcake (£3.50), for your personal pleasure you’re bound to be left desiring more. 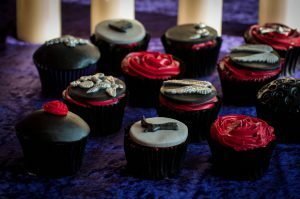 Or join Cynthia for a Gothic Cupcake Class on 10 September, in Islington.